It is mandatory for all the Business Entities presently registered as well as intending to register / pursue business with any Department / Agency of Government of Madhya Pradesh to enroll on the e-Procurement System available on http://mpeprocurement.gov.in for participating in the e-Tenders / RFPs / e-Auctions processed using the e-Procurement System. System auto approves new registration and it’s the responsibility of the bidder to ensure that details filled at the time of registration are correct. E-Procurement service provider will not be responsible in case of misrepresentation of facts and details.The enrollment of the Bidder shall be valid for a period of One (1) Year from the date of approval of the enrollment. After the expiry of the period, the enrollment shall have to be renewed with an application of renewal. This e-Procurement Portal of Government of Madhya Pradesh is intended to act as Official Portal for e-Procurement of Construction of Works, Supply of Materials and Procurement of Services by the Departments, Agencies, Boards, State Government Undertakings, Corporations and other Organizations of State of Madhya Pradesh. 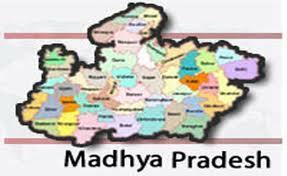 All Online Tenders Issued by MP State Government are available on this site. For Email Alerts for Madhya Pradesh Tenders Bidders may get services from Tender Details. This is paid services for interested bidders only where bidders can get daily email alerts of Madhya Pradesh State Government Tenders related to their interest of Product Category & Services on their register Mail ID.